On September 18, 2013, news was received from the event managers that they had decided to change the La Tomatina event in Karachi to a water festival instead. September 14, 2013 was another day in Pakistan where the rich shamelessly failed to take in to account the plight of the poor. On this day, some 3,000 people got together and pelted each other with tomatoes. 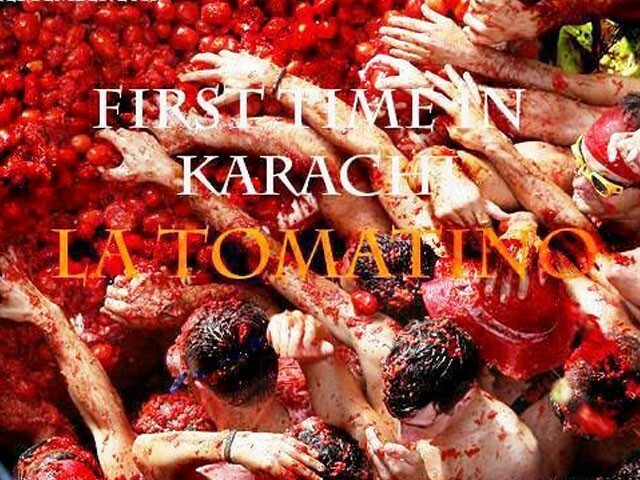 “La Tomatina, Lahore” was celebrated at a Bedian farmhouse, shamelessly organised to perfection by HK Events. One wonders if the people who attended this ghastly display ever thought about the other 50% of Pakistan – the ones suffering from food insecurity and those who go to bed on an empty stomach everyday. While the sheer number of people who are starving in Pakistan may catch many by surprise, a more surprising fact is that this figure has only deteriorated since the early 2000’s. However, regardless of the many voices from within and outside Lahore, the event did take place. Hundreds of tomatoes were wasted without an iota of guilt. 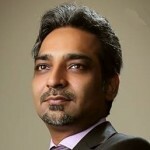 Not to be left behind, Karachi soon followed suit, with rumours spreading that a similar event was being organised by Bonfire Events in this metropolis. The event, from the very first announcement, was met with the highest level of criticism from a vast cross-section of society. Since The La Tomatina Lahore had caused quite an uproar, it actually paved the way for the people of Karachi to stand up and take timely and decisive steps to ensure that such a waste is not witnessed again. It was heartening to see that people from all walks of life were outraged at the sheer waste of tomatoes, especially at a time when they are being brazenly sold at the ridiculous price of Rs100 per kilogram. Consequently, ‘Stop Food Wastage’ trended on Twitter for almost eight hours in Pakistan; this was a huge achievement given that many people came together to put a stop to something detrimental to all Pakistanis. In addition, a concerned citizen, Aisha Yaqub set up a Facebook page against the event. While many expressed their outrage on social media, there were others who took it one step further to ensure that the concern was raised in the right quarters. They sourced the contact details of the event managers and calls were made to communicate their concerns to the organizers. These phone calls were received by individuals who were respectful and attentive to the concerns raised and promises were made to get back after consulting with the team. On September 18, 2013, the event managers confirmed that they had decided to change the event to a water festival instead. Although this change was also met with some criticism, as it was still considered to be a waste of resources, I am grateful to Bonfire Events nonetheless for the responsibility with which they responded to the concerns – responsibility that was lacking in the event that took place in Lahore. At the end, I would like to salute the people who stood up for this cause and ensured that such wastage is prevented. People like you keep hope alive and at times, hope is the only strength needed to make miracles happen. What exactly is a Hindu rasm anyway? Water festival? Cannot bring yourself to call it Holi even though throwing of tomatoes was going to be called by its Spanish name not just plain vanilla ‘tomato festival’. 1. Holi is not just a water festival. It has several other things such as colour, bhang etc. 2. Change comes in baby steps. There are hashtags that talk about all of the atrocities you have mentioned in your comment and more. Some have influence, others don’t. That does not mean people should be silenced. @c807149b7de1a520446ca057d03c91a0:disqus – really disappointed to hear this out from you! An event was about to take place where 100’s if not 1000’s of tomatoes were about to go to waste. May it be even the smallest of considerations of a concern to be put up in the face of social media & a change that needs to be brought on, this is an effective step and a gauge of the power of the public! Living out on a lavish lifestyle in a country where you see the poor & next to defunct people at every signal stop asking for a rupee while you sit in your car about to throw up a party & get wasted? Listen up! It is within you! @abc5b6dc6d7ef3e147a42f2a4284dcf1:disqus – Jitna khayal hoska kara unho ne! If you are talking about buffets, many places do not throw out the left out food! They package it and send to a lot of charities & or their employees board it out! When such events are not suited for a country – they are not! This small change showed the power within us and our ability to make things better! Either stand up to something if you see something is going wrong or just become a part of it. nope noone has to stop living. why can they not enjoy without wasting food? But as we like to keep reminding everyone , we are predominately muslim, this is a religion that asks you to not waste a morsel of food, and if you dont have enough to share with your neighbours then dont send your kids out to eat infront of them. I think you you are not using social media very often go to FB and Twitter where almost everybody raise their voices against Bhatta and Kidnapping. Why always critisizing. If someone spent thousands of rupees on foods that does not justify that we should waist resources of such stupid festivels. This is not justification of that event. You win some, you lose some………….but you never give up trying. To all my blogging friends ….. I damn care about your views who said that it is not a wastage of food but just a way to release tension and get united as nation …. PLEASE READ A CLEAR SAYING OF OUR HOLY PROPHET (PBUH) ON WASTAGE OF FOOD …..
One day Holy Prophet Muhammad (PBUH) entered into his house and saw a piece of dry bread on floor. He picked it up and at it up after dusting. He called up Mother of Ummah Hazrat Ayesha (R.A) and said, O Ayesha (R.A), respect the food, because if Allah lifts up food of any nation, He never returns it back to them. Now we should look at our self and our intellect, are we able to neglect any saying of our holy Prophet (PBUH) ? or is there any doubt ? I did not suggest that anyone should be silenced. I was just asking that people need to have reasonable expectations about what social media can achieve. I certainly thing hat Karachi should be congratulated for avoiding such a waste which pod countries like ours can ill afford. For the person. That said it cannot be called Holi because Holi also has bhang, I would like to say that Bhang is not a prerequisite. On one day people play with water and on the other day with color. if they have so many tomatoes to waste why not donate them to the poor. this event managemnt company needs to go diga hole and jump in it in a rotten pit worm infested dung. idiots. the real problem of pakistanis is ke ‘ cool ban na hai’ no matter if it is socially irresponsible. just because you are not responsible for ‘them’ being hungry does not mean you should not do something to stop them from going hungry to bed. dont worry, we dont live thousand years .. We will get to know the importance of everything on judgement day :) then we will know “ZIndagi na mileygi dobara” and Game Over ..